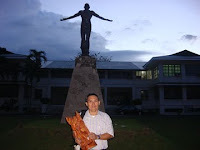 A Successful NCITE 2008 .. .. 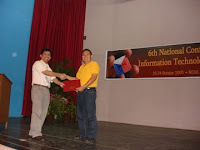 The National Conference on Information Technology Education (NCITE 2008) held at the NCAS Auditorium, UP Los Banos last October 23-24, 2008, was a resounding success. The conference provided a venue to present innovative ideas, approaches, developments and results of research projects in the areas of Information Technology and Technology-based Education. I delivered a paper entitled " Development of an Information Technology Education Practicum Manual: Region XI Experience". The conference also promoted the exchange of information between researchers, faculty, administrators, and I.T. practitioners.